I'm pretty fit from yoga, walking, golf. Besides, this is a class for senior citizens. You have to be at least fifty-five to sign up. AND it's held in the morning. So, at sixty, I made two assumptions. One - I would probably be at the young end of the scale. Two - it should be REALLY easy. I arrived in my workout clothes - old sweats, t-shirt, the right shoes, a water bottle. And yup, I was right about being the baby of the bunch. Most were at least ten years older. This was going to be a piece of cake! A walk in the woods! The instructor put on some funky music and we began walking in a circle. I snorted. Like I needed to walk in a circle in a gym. A few times around and we picked up the pace - arms swinging, a little two-stepping, arm circles, a step and a hop. After 5 minutes (I faced a clock), I thought I was going to keel over. How the heck was I going to last 55 more minutes. Eventually, right before I collapsed and someone had to call for an ambulance, we slowed down to do a little weight lifting. Easy peasy since I picked out two-pound weights (I'm no dummy). Did a little footwork with them, which kept my heart rate around the 400 beats per minute level. Next, the instructor put down her weights and said, "Time for cardio!" I thought we'd been doing cardio!!! What???? Anyway, I survived. And I'm determined now. I'm going to catch up to those amazing women if it kills me (which it probably will). 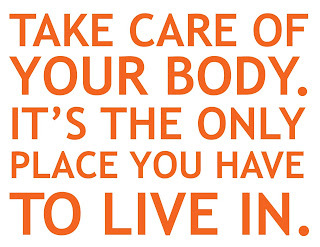 Have a great day and take care of your body. Lol! It is amazing how we can feel so fit and then try something different and bam! you realize you are not. I worry about my knees after so many of my friends who did jazzercize or were big runners have serious knee issues. I think this class is going to be fine on my joints. It isn't high impact (just me being a wimp). I go to Curves and some of the 80 year old members could run circles around me as I have a mad knee and walk on boards - they run! Tomorrow is last of 6 week chair Yoga class - I bought the book the instructor uses and want to teach my husband some as he has leg ulcers and uses crutches. Anything we do to get moving counts, in my book. Good for you! I started a Zumba Gold class on Tuesday after no aerobics in 5 yrs. Having been a long-time Jazzerciser, I also thought it would be easy.....WRONG. Today was my second day and tomorrow we will add some chair yoga. A little bit ago, I told my husband I was glad I would have 3 days off after tomorrow!!! And also at 60 I'm one of the younger ones! Too funny that we had the same experience. Oh, my, Zumba Gold sounds as intimidating as Cardio Blast. LOL. We will survive! I totally know how you fell. I started going to a senior citizens center after I retired at 60. I tried some of the dance classes and could not keep up with those ladies, most of whom were 10 to 15 years older than I. I am still going 6 years later and take various classes. I very much enjoy the company and comradeship. I went though a very trying time in 2011 and 2012 with my brother going through cancer treatment and then his death and the ladies at the center were such a help and support to me. I wouldn't trade it for anything.